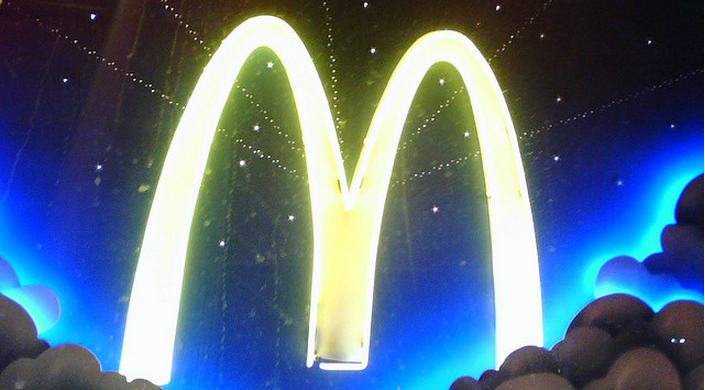 Can you remember the first time you stepped into a McDonald’s? For many Americans, the answer is probably not, and subsequent trips are probably all a blur of fry grease and hamburger patties. But for the crowds lined up outside Vietnam’s first Mickey D’s, in Ho Chi Minh City on Saturday, that memory is much more immediate. The fast food chain opened its doors in the country for the very first time amid a blitz of fanfare and excitement, reports USA Today, with blasting techno music and hundreds lined up behind velvet ropes to get in as soon as the restaurant opened. The new McDonald’s has 350 seats and offers the usual fare — Big Macs, french fries, Chicken McNuggets and the like — which is far from usual for a population that has a wide selection of cheaper street fare available. It wouldn’t be a hyped opening without “free balloons, face-painting, live performers and photo-ops with Ronald McDonald” to create a “festive atmosphere” while family members of the new McDonald’s employees made sure to capture everything on camera. It’s not like there’s no fast food there either — KFC, Burger King, Baskin-Robbins, Dairy Queen, Carl’s Jr., Popeyes Louisiana Kitchen, Subway, and of course, Starbucks. And of course, some customers have encountered McDonald’s before, including a family of Americans from Indiana who’ve lived in the country for a year. “It’s nice to see a little bit of America here,” said the mother of three kids who were up at 5:30 a.m. due to excitement on the morning of the opening. But some Vietnamese customers aren’t all that impressed with the brand they’ve only heard about so far: A group of teens and young adults chimed in to tell the reporter that the burgers and chicken sandwiches were great. But French fries? Meh. “We don’t really like the fries,” admitted one, with piles of leftover fries littering the group’s trays. Add again, there’s that cheaper street food with all the local flavors the Vietnamese love. She’s not worried about the competition, and instead says she’s willing to try out McDonald’s at some point, to be nice.